Tis the season for something warm to fill our bellies. To keep us inside during the cold, and to avoid being sighted by a dragon. 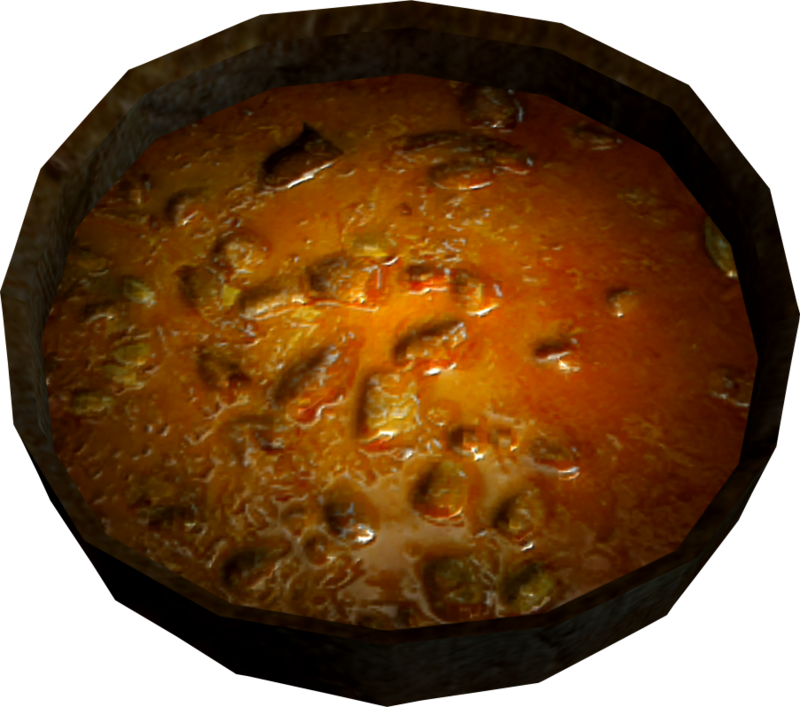 Being a dragonborn is a hard task, and it is very important that you avoid going hungry. Restores 1 Health per second and 1 Stamina per second for 720 seconds. In a large stock pot, combine broth, tomato juice, water, potatoes, cabbage, carrots, celery, undrained chopped tomatoes, green beans, and corn. Season with salt, pepper and Creole seasoning. Bring to a boil and simmer for 30 minutes or until all vegetables are tender. Dr Who? Fish Fingers and "Custard"